Since the inception of the Third and Curry Streets Farmers Market nine years ago, organizer Linda Marrone has wanted customers to have the option to pay for produce through the Supplemental Nutrition Assistance Program, formerly known as food stamps. “Just like with anything else, we feel everyone deserves access to healthy fruits and vegetables,” Marrone said. 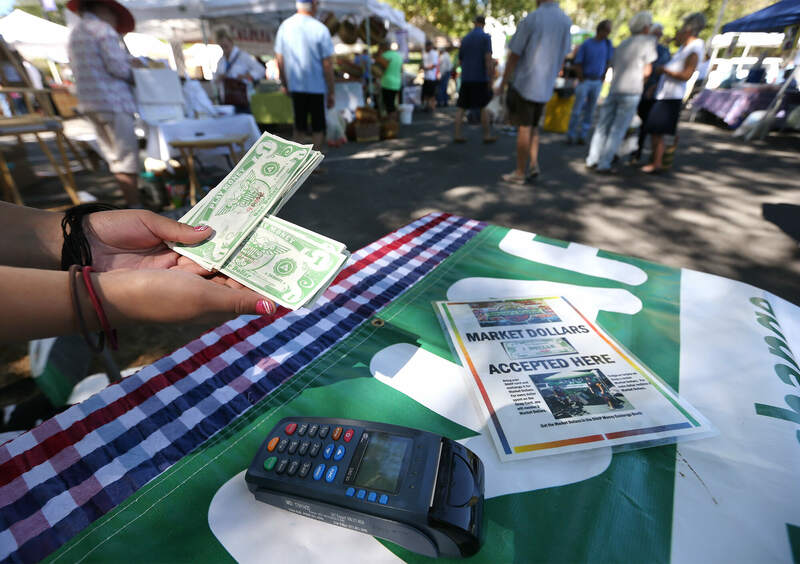 The original rules governing farmers markets limited SNAP participation to only those listed as nonprofits. However, those rules changed in the last two years. But there were still obstacles to instituting the program. The solution came from Partnership Carson City, an umbrella organization dedicated to creating a healthier, drug-free community. Partnership Carson City funded the card-swiping machines and provides a volunteer weekly to run the program. The second obstacle was price. Rob Holley, of Holley Family Farms in Dayton, said he has sold a lot of meat to SNAP users. The market has been accepting SNAP cards for the past two summers, but collected the most swipes yet during July. Last week, the market also started accepting the Special Supplemental Nutrition Program for Women, Infants and Children — knows as WIC. “A lot of it has to do with getting the word out,” Marrone said. The farmers market runs 8:30 a.m.-1 p.m. every Saturday through Sept. 24.